The KMD-FR02 Racer Kit features the same fully adjustable and excellent handling suspension geometry as our race-proven FR01. However, is now a double-deck carbon fibre chassis using a MC3 tuned digital servo. 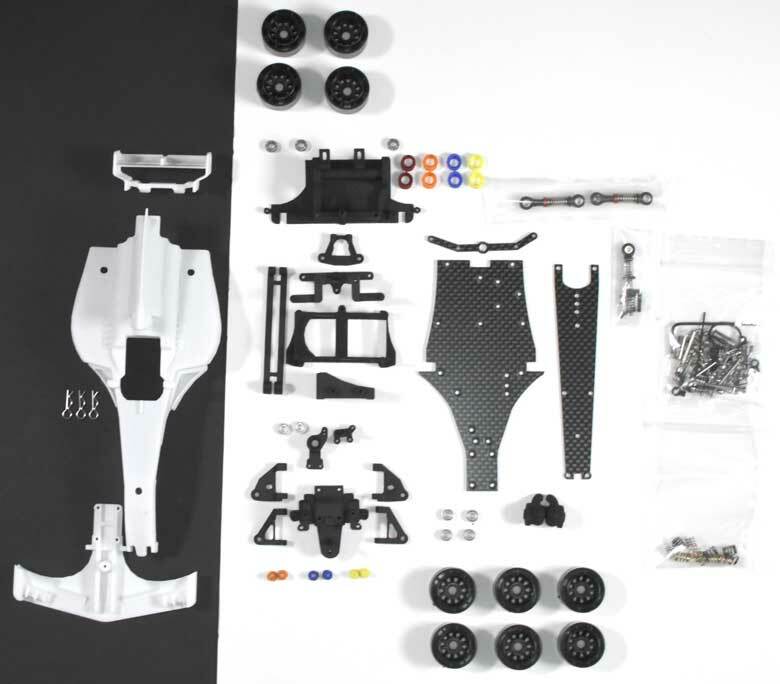 This version of our kit comes with everything except tires, electronics or battery.